To @LeniRobredo: Show us EXACTLY how you plan to "defend the judiciary"
Anyone would be pretty much left scratching their heads after reading that. Is it indeed "the final blow"? Are Filipinos left with nothing? 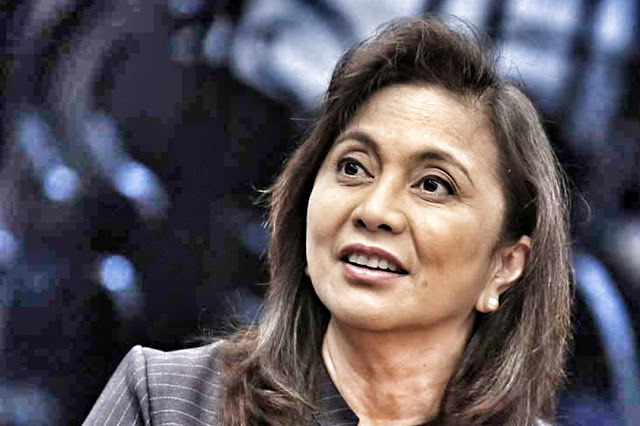 Her reference to herself as the “duly-elected Vice President,” which garnered applause from the crowd, was also deemed as a response to the ongoing recount of the votes in the protest filed by former senator Ferdinand Marcos Jr. Robredo had slammed as fake news reports that she had supposedly lost some votes already. Huh?? This is where one starts wondering whether this is really a news report or another one of those all-too-familiar occassions where it is clear that the minions of God's Gift to Philippine Jointnaljsm are yet again insulting the intelligence of their readers. What we really want to know is how exactly Robredo will walk her talk and, as she threatens, "defend the judiciary, whose independence she said had been threatened." Be a true leader of the Opposition, Ms Robfedo, and show us exactly how you plan to make good on your talk.